Technically it’s Fall in Los Angeles, but even after 8 years of living here – damn, has it really been that long? – it’s hard for me to really get the feeling with how slow and subtle the change of seasons are in Southern California. It’s more of a crawl and less of a march as time moves forward in an endless cycle of hot, warm, not-so-warm and kinda-cold with some random moments of “where’d I put that coat?” thrown in. But on this night of Malt Nuts gathering, to drink some sherried Tamdhu, there was a little something different in the air. Normally we gather at a private residence, but on this night we gathered at a Shul, which if you’re not familiar is a Jewish house of worship and community. We gathered there in the wake of the recent Synagog massacre that left 11 dead. If you haven’t picked up on the not-so-subtle hints that Malt Nuts is a predominantly Jewish group, it should be rather clear now. I’m not Jewish, I’m not religious or spiritual at all in-fact, and neither are several other members of the Malt Nuts. While it is predominantly Jewish, we even have Rabbis in attendance, it’s not an exclusive group. 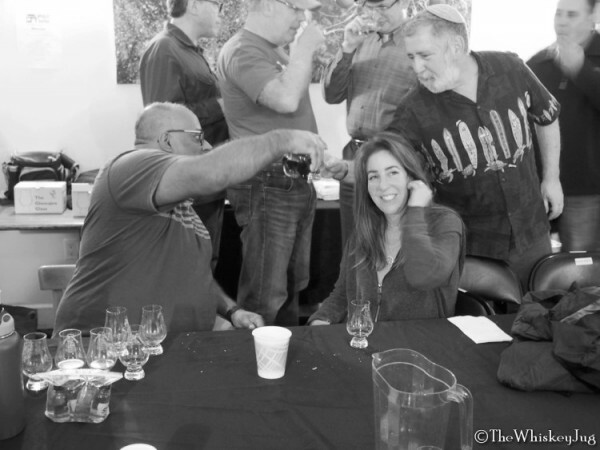 Atheists, Buddhists, Christians, Men, Women and different races are all welcome in the club and on that night we all gathered in a Shul around a common love for whisky. As usual blinded bottles were broken into rounds and passed around, but tonight we started with a “Pre-pour” that was one of the whiskies in the rounds below and we had a challenge of finding it again. 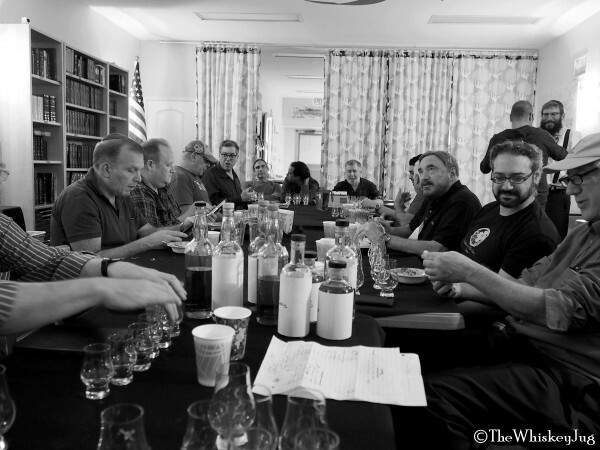 Myself and a couple other folks were at a slight disadvantage because we came directly from a GlenDronach tasting, but I’m always up for a challenge. Outside of the Pre and Post pours the rounds ended up breaking down as follows. Nose: Sherry, dark fruit, char, cocoa, citrus, malt, Tootsie Rolls, citric acid. Palate: Sherry, cherry heavy dark fruit, spice, char, cocoa, citrus, Tootsie Rolls. Finish: Long -> Spice, char, cocoa, Tootsie Rolls. Overall: B+ (87-89) Good chocolaty sherried malt. Various layers from waxy Tootsie Rolls to Devil’s Food cake. Nose: Apples, pears, honey, malt, cinnamon, cocoa, buttery malt. Palate: Malt, caramel, honey, pears, apples, cinnamon, cocoa, spice. Finish: Long -> Malt, honey, cinnamon, fruit. Overall: B (83-86) Good, doesn’t blow me away, but pleasant. Nose: Waxy fruit, minerality, cocoa, cinnamon, malt, char. Palate: Waxy fruit, minerality, fruit gems, cocoa, cinnamon, malt, char. Finish: Long -> Fruit, minerality, malt, soap. Overall: B- (80-82) Light with and almost smoky char hint. Fruity and pleasant overall but not deep or dynamic at all. Nose: Sherry, dark fruit, brown sugar, cocoa, malt, cocoa. Palate: Sherry, dark fruit, brown sugar, spice, char, cocoa, citrus, Tootsie Rolls. Finish: Long -> Brown sugar, fruit, spice, cocoa. Nose: Sherry, oak, cinnamon oil, malt, fruit, buttery essence, cocoa. Palate: Sherry, oak, cinnamon, malt, fruit, brown sugar, nuts, cocoa. Finish: Long -> Sherry, spice, char, malt, oil. Overall: B+ (87-89) Lots of good spicy and chocolaty whisky with a soft buttery touch… also could be the pre with all the cocoa in it… hmm. Nose: Spice, fruit, malt, sherry, orange peel, vanilla, taffy, oil. Palate: Spice, malt, char, smoke, char, orange peel, sherry, cocoa. Finish: Long -> Spice, malt, char, cocoa. Overall: B+ (87-89) Some sweet sherry and cocoa and char and great maltiness. Nose: Pears, butter, apple, spice, char, malt, fruit. Palate: Fruit, butter, malt, oil, soap, char, sherry. Finish: Medium -> Buttery malt, char, spice, soap. Overall: C+ (77-79) If it weren’t for these soap notes it would be great. Nose: Caramel, sherry, char, cocoa, malt, dark fruit, soap. Palate: Caramel, dark fruit, spice, char, citrus, cocoa, leather. Finish: Medium -> Spice, oil, char, malt and sherry. Overall: B (83-86) A bit of cocoa and oily char with a good malty sweetness. Sherry is a bit light, but it’s there. Water brings out butterscotch. So what did we learn about Sherried Tamdhu? Absolutely nothing new. 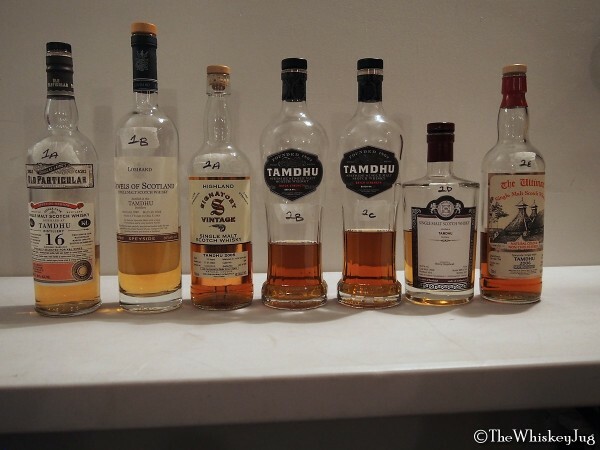 Having already had, and enjoyed, the Tamdhu 10 and Tamdhu Batch Strength 2 & 1 I already knew it was good stuff and now having the Batch 3 I’m even more enamored with it. 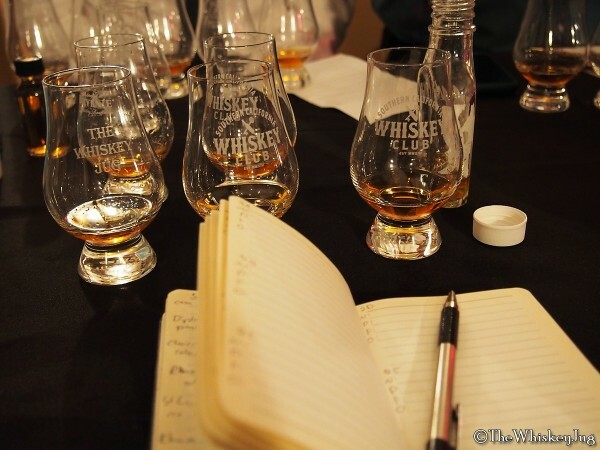 The dense sherry doesn’t fully cover the malt, which allows more complex and interesting flavors and aromas to show up. 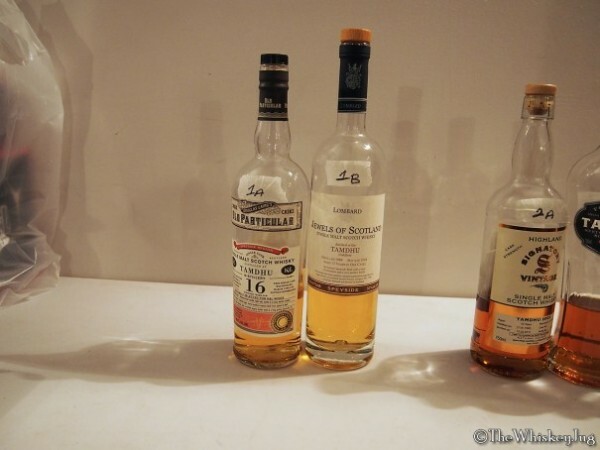 A good series of malts to share with a great group of people over a common love that bypasses everything else. Till next time, Cheers! 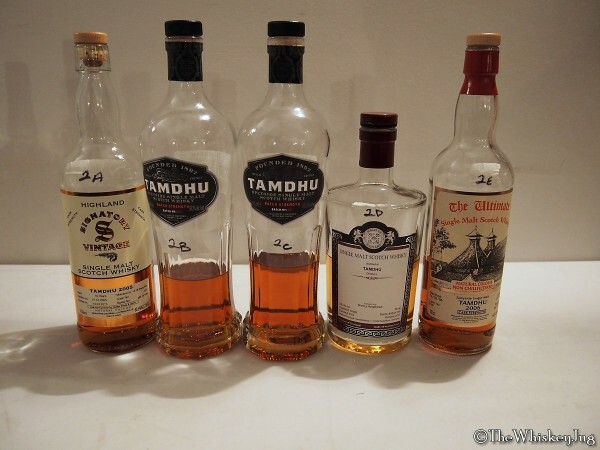 The post Malt Nuts: Sherried Tamdhu Tasting appeared first on The Whiskey Jug.